Relentlessly filling a void within the current underground landscape, he has cemented a staunch reputation already with his unique big room techno flavour, not only within industry but out there where it really counts, the dance floor! If there were a prize for the most promising electronic artist for 2018, Phutek would be an unrivalled contender, with many industry eyes fixed on his next move. Originally hailing from UK party mecca Coventry and somebody who witnessed first-hand the birth of rave at institutions such as Amnesia House and The Eclipse, Phutek’s long and exciting journey is about to find its sole purpose as he strides boldly into the year ahead. 2017 saw the highly acclaimed ‘Edged EP’ become a highlight and one of the best seller’s on Carl’s leading Intec Digital label, with the track Prodigious being used as the soundtrack to Coxy’s end of year video. Both Awakenings and Kappa Future Music Festival also handpicked Phutek’s music as their annual video soundtracks last year. Further testament to his commodity as an artist right now. Add to this a request from Awakenings for an appearance at their first ever UK show and a diary filling up fast for 2018, the future certainly looks very bright as he garners support from the leading entities of the techno community. from Deadmau5, Eats Everything and Will Atkinson, proving not only that 2018 is going to be an exciting time for winning new fans for himself, but also techno music as a whole. Adam Beyer and Carl Cox are also very firm and avid supporters on their weekly Drumcode and Global Radio shows respectively, with a relentless stream of Phutek track inclusions spanning five years. Not just a Producer and DJ, Phutek’s infectious personality and seasoned industry experience has proven an invaluable trait in his quest to be at the top of his game. A natural progression also was the launch of his own imprint Layer 909 two years ago, with an ethos of pushing quality and energetic techno music, and creating a platform for exciting new talent. 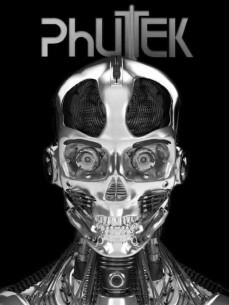 Subsequently, the label has gone from strength to strength culminating in an arena hosting last summer for Xstatic Festival (UK), as well as strong press and elite DJ support for their releases, a rising profile, and of course Phutek firmly at the helm. With every success story, there is a moment of realisation, clarity and a tipping point into greater things. The most influential people on the scene have already mapped Phutek’s pathway for 2018. Whether that be; Carl Cox, the promoters of Miami WMC, priority support from all the leading download stores or bookings at some of the greatest techno shows on Earth. There will be no escaping this unique and future bound techno artist!